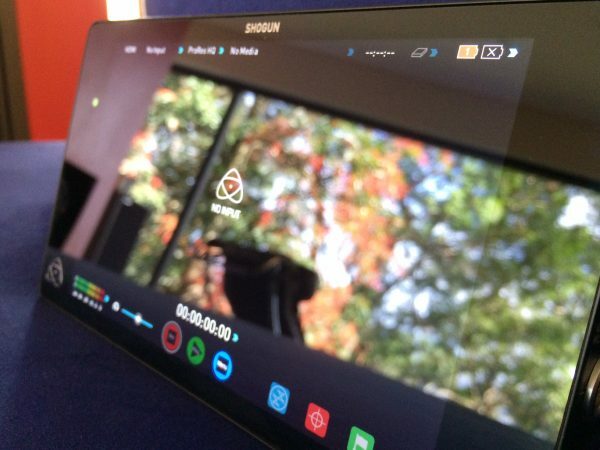 The Atomos Shogun and Odyssey 7/7Q/7Q+ have great displays but you can’t view them in bright outdoor conditions. Below is a collection of currently available sun hood solutions. 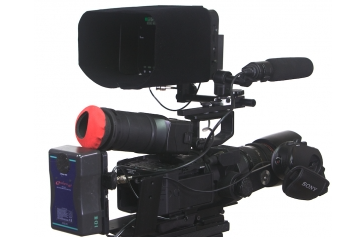 NOTE: Atomos have told us that the air flow through the vents on the back of the unit is essential. Any cover that blocks these vents for a period of time may harm the Shogun. 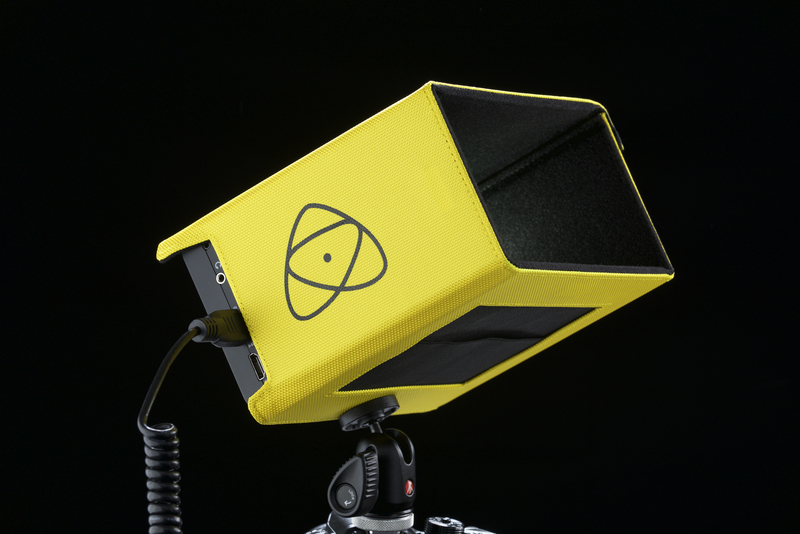 The MO-SHGN is a custom-fit rain & dust cover for the Atomos Shogun Recorder. 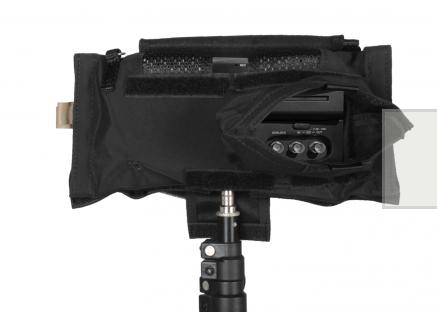 The case is constructed of waterproof & breathable Nylon Taslan material, which provides waterproof protection while also allowing heat from the recorder to escape. If I was going to choose a solution that would cover me in all environments this would be it. The Shogun has exposed heat vents so using it in adverse weather conditions really requires a full waterproof cover. 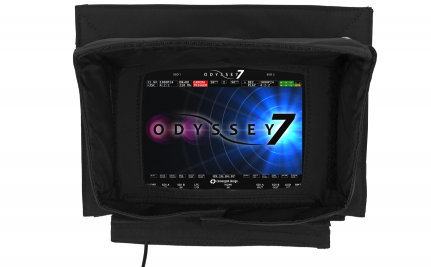 The MO-ODYSSEY Rain & Dust cover provides custom-fit protection for the Convergent Design Odyssey 7 during field-use. 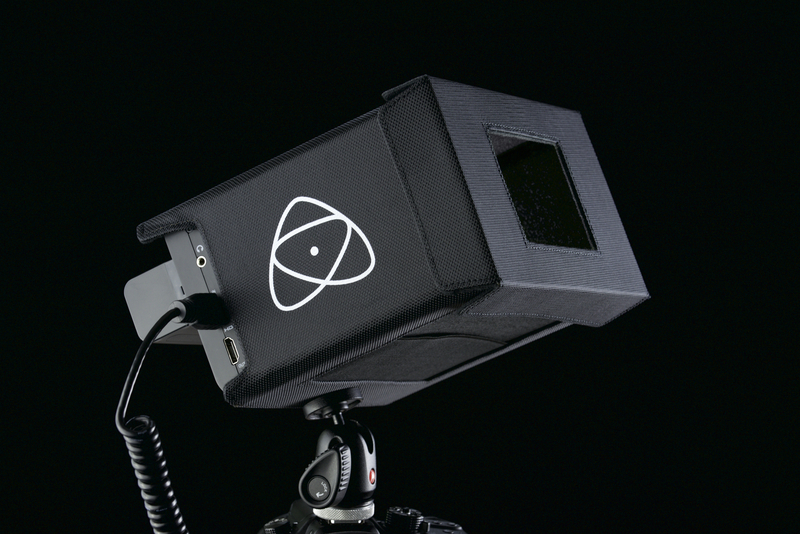 The cover can be used while the monitor is mounted to a camera or camera rig. 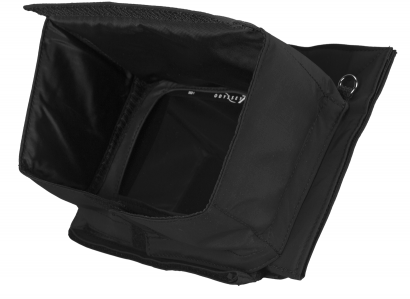 The cover is constructed using waterproof Nylon Taslan, which also has a patented “breathable” design that both prevents water from getting in and allows heat from the monitor to escape to prevent overheating. 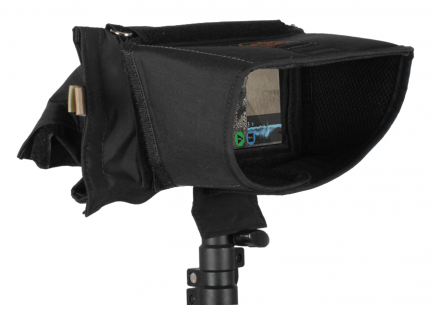 There’s a fold-out anti-glare visor that improves screen visibility when filming outdoors or on bright sets. 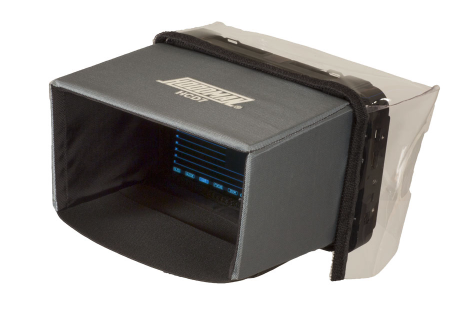 The visor folds down and seals shut with Velcro when the monitor’s not in use, providing extra protection for the screen during transport. 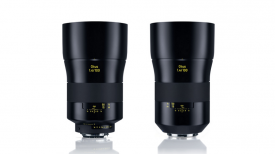 The MO-ODYSSEY retails for $139.00US and is available here. A lightweight hood for the Atmos Shogun. The soft fabric hood is designed to comform to your face comfortably. 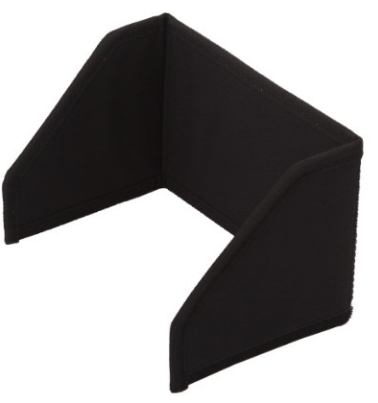 It attaches with velcro to the plastic top and back frames and if used without the fabric it will help to protect the Shogun’s screen. This hood slides on and off the Shogun quickly without removing the thumbscrew. 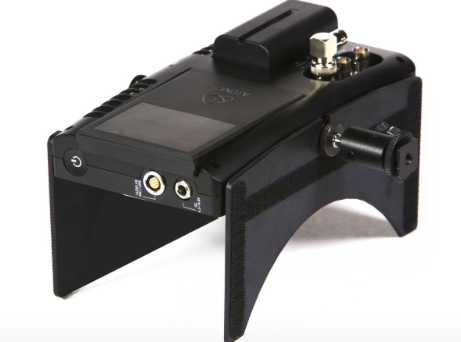 It attaches to a Noga Arm or swivel mount that you are using to mount the Shogun. There is an included thumbscrew for the top attachment. The hood folds flat to sit in the Shogun carry box. All connections are easily accessible. The Odyssey Hood is available in different options. Choose either the 8 inch Sun Hood, the 4 inch Sun Hood, both Hoods or just the plastic moulded Screen Protector. You must have the plastic moulded hood to use the 4 inch (or 8 inch) fabric Sun Hood. This is a 2 part system. 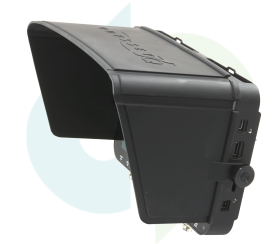 The first part is a sturdy plastic hood moulded to fit the Odyssey that mounts with 4 4x8mm screws. It covers the top and sides on the Odyssey. 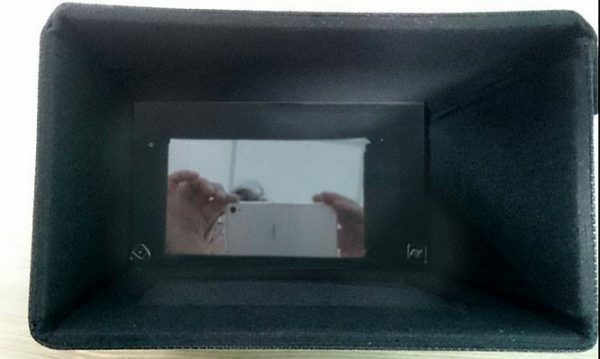 The hood protects your screen and it also makes viewing in strong light much better. 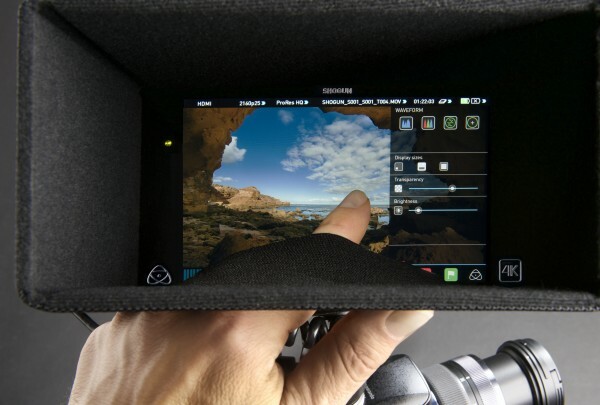 The Odyssey screen is vulnerable both on the camera and when transporting. The second part is a plastic reinforced Velvet hood that velcroes to the small hood. 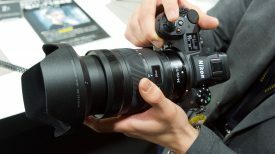 It splits open easily to make the touch screen easy to use. If you use a tablet stylus you don’t need to pop the bottom of this hood open. You can put your face right up to the hood and squeeze it to shape it so there is very little outside light let in, great for critical focus. The plastic inner hood is $100.00 and the velvet outer hood is $50.00. You need the plastic inner hood to use the velvet outer hood. You can use the plastic screen protector on its own. It retails for $89.99US and is available here. 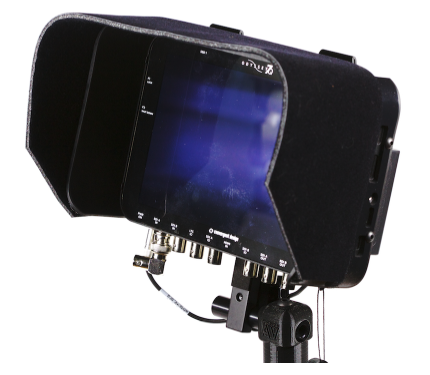 The Convergent Design Odyssey Hood is a flexible three-sided sunshade for the Odyssey7 and Odyssey7Q. It attaches to the side 1/4″x20 mount sockets on the Odyssey. If there is another item such as a mount that uses these side sockets, the Odyssey Hood’s bolts can be removed and the other item’s bolts can be passed through the Hood into the Odyssey. 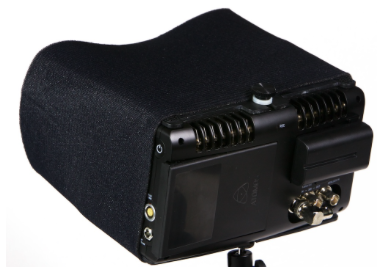 The Odyssey Hood folds flat for storage and can rest atop the Odyssey within the Odyssey Case. When the Hood is folded the mounting bolts do not protrude long enough to make contact with any surface, so as not to scratch the Odyssey screen in transport. It retails for $80US. 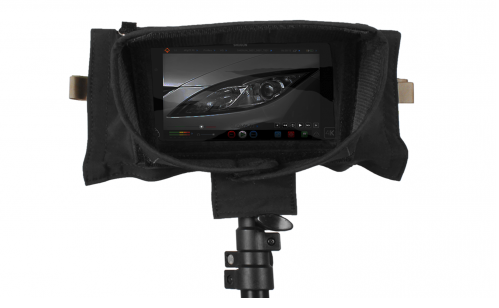 Atomos have their own sun hood solution available to purchase soon for $79US. 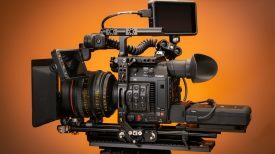 Strangely enough it looks to also cover the cooling vents on the back which was something we were told by Atomos that you shouldn’t do for extended periods of time. The sun hood looks to cover the cooling vents on the back of the Shogun.